What would happen if you took a second rate version of the popular Sherlock Holmes character and mixed it with a light “Saw” type story. 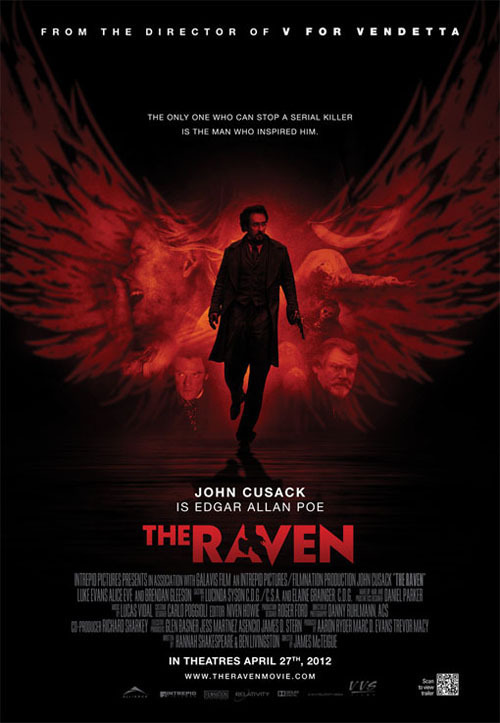 Well if you thought it’d be a movie with Edgar Allen Poe then I don’t know where your mind or intentions were. To say that anything in this movie goes right would be a lie. The story pretty much falls flat in every way. The “Saw” like kills are generic and I kept finding that I didn’t care in the end what happened to any of the characters. It never fully developed and while being a simple movie tried to make itself more. John Cusack doesn’t help the role at all either though. He doesn’t do anything wrong, he just doesn’t do anything right either. He plays a bland character who again like the story tries to remain more complex then it is seen. On top of all this already they decided to add in some horrible CGI and more than effect fake blood to further it from any original ideas they had. I don’t really know if when making this movie if anyone had a clue about Poe or anything he did because nothing in this movie plays off of it. I do find it humorous how they decided to add a lot of old language into the mix for little reason. It does nothing to add a extra layer to the film. What you get in return is a wanna be Sherlock Holmes turned Saw. Overall there really isn’t much here worth seeing so I recommend a skip for this.